We may have a vehicle on this trip, unlike our Appalachian Trail hike, but that doesn't me we aren't still Drifters. We don't stay in hotels. It's not the drifter way. 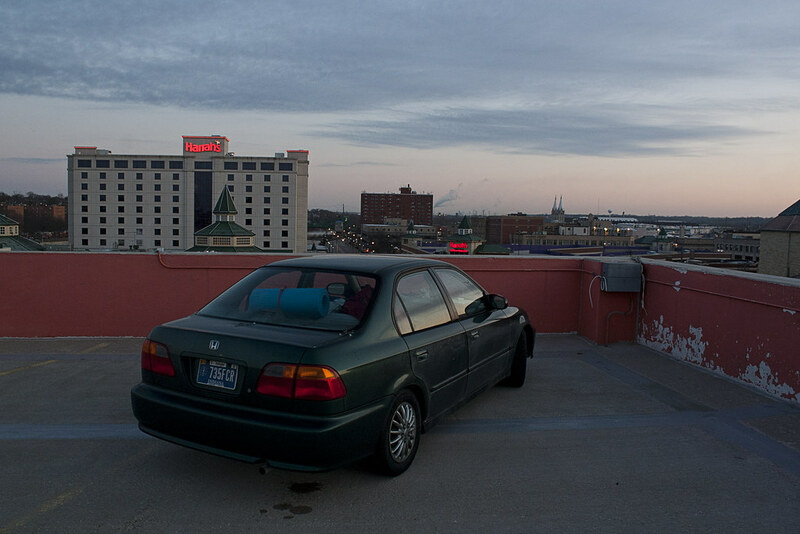 We spent our first night on the top of a Harrah's Casino parking garage. The fewer dollars we spend, the longer we can live this way. That's more important than comfort.